Anique is a laboratory-trained biologist, having completed her doctoral research in Molecular and Cellular Biology in the laboratory of Piali Sengupta at Brandeis University. 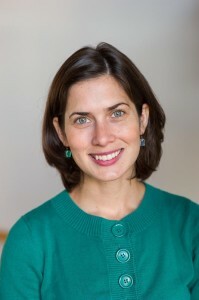 Prior to Brandeis, Anique had the unique experience of working as a criminalist for the New York City Forensic Biology Laboratory at the OCME, where she examined evidence and did DNA typing from crime-scene samples. In the Drennan Education Group, Anique will be involved in graduate student TA training at MIT and Brandeis and the development of high school teaching materials for two successful initiatives. Both initiatives take minimal class time and are designed to supplement fundamental chemistry and biology concepts: 1) a series of short videos featuring scientists from all academic levels discussing how they use basic chemical principles in their research with a focus on practical application are 2) a series of biology and medicine related examples for general chemistry lecture. Please contact Anique if you are interested in using either the videos or examples in your classroom. Questions about forensic lab-work are welcome as well.